LoraSaysSo! 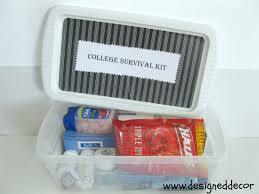 : College Dorm Essentials for Back to School Success! 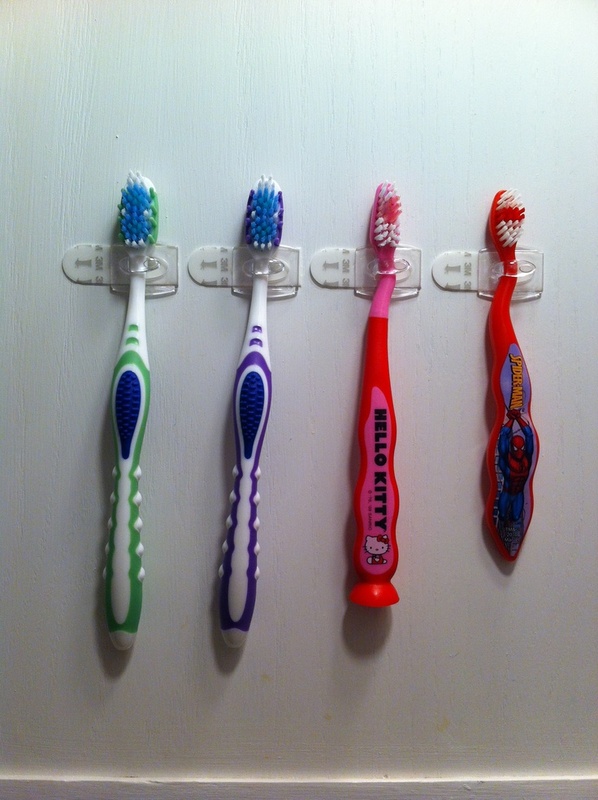 College Dorm Essentials for Back to School Success! 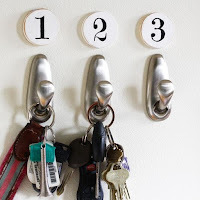 With one daughter done with college and one to go, this is my list of College Dorm Essentials for Back to School Success! 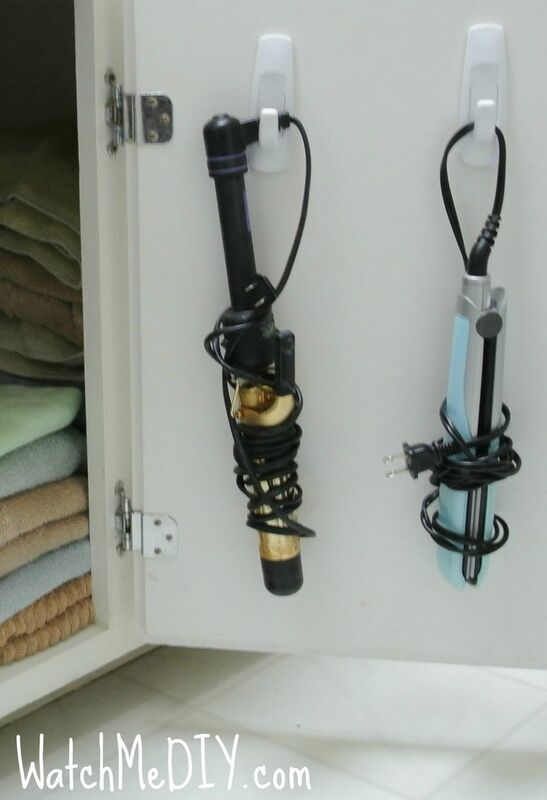 I've listed the items in the categories of comfort , cleanliness, organization, and emergency. COMFORT ESSENTIALS- Environment is everything. Create the ideal dorm room environment with the following items. 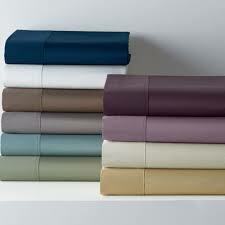 I buy silky soft sheets that are never less than 800 thread count. The investment is worth it. Good sheets = Good sleep, necessary for optimum focus in class and studying. Target has amazing sales after Thanksgiving. Bed, Bath and Beyond also has Back to School sales especially for dorm items that you can combine with their 20% coupons, SCORE! Mattress Topper. Most dorm mattresses are awfully thin. Plump up the mattress with a nice thick mattress topper. I found an exceptionally great priced Serta brand (the one shown) at Big Lots years ago. Recently, Kohls had a 2 in 1 combination Mattress Topper with a Mattress Cover sold in the same box at 50% off. I used my 30% Most Valuable Customer coupon in addition, and it was a steal! Seat Cushion. Dorms usually come with a desk chair that's hard as a rock. 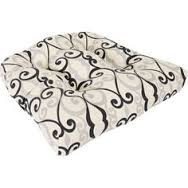 Provide a comfy cushion so your kid can endure those study sessions! 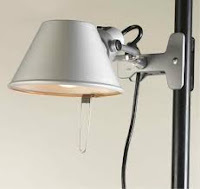 Clip on light. Studying may take place on the desk or in the bed. Make the lighting mobile so that your student can travel between the two. Portable Fan. The dorms at UC Berkeley are OLD and there is no AC. It gets hot in the Bay Area. I need my girl to stay cool and comfortable so she can study. Maybe the school your child attends is the same way. 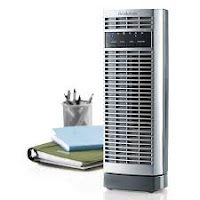 Buy a fan that is space conscious but does the job. 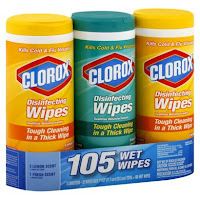 CLEANLINESS ESSENTIALS - For every one's health and safety, these items are critical to have in the dorm room and perhaps on your student too. Brita bottle with filter. Keep your student hydrated at all times! 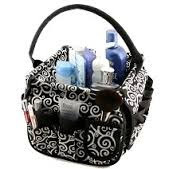 This is easy to carry in the backpack and refill at the water fountain! Hand sanitizer. Germs are easily spread when many people are living in a small space. Stay healthy by sanitizing often! 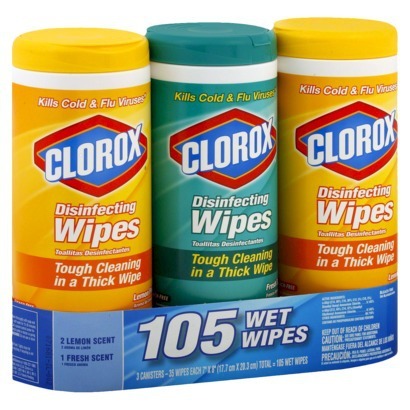 Clorox wipes. 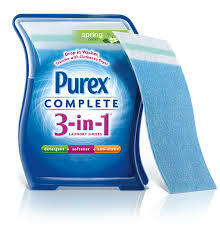 These also keep the germs in check. 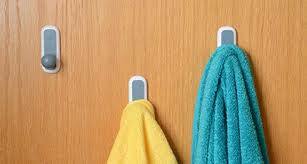 Wipe door handles, desk tops, anything that accumulates dust! 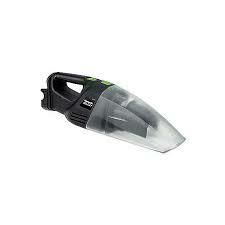 Hand vacuum. This little tool will clean up cookie crumbs, shed hair, and other yuckies that land on the carpet, desk or bed. Flip Flops. Who knows what gets tracked into the room on shoes, especially on rainy days where mud and dirt may be dragged in! Your student should have a pair to use in the room and these are must-haves travelling to the bathroom to shower as well! 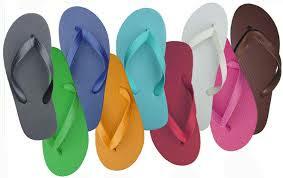 Old Navy has awesome sales on flip flops, you can get one in every color! Shower Caddy. This is for all your student's personal items. Some universities provide individual cubbies or lockers in the hall bathroom so be careful that the one you buy fits the necessary dimensions. Medicine Kit. Moms know what medicines work best with their child. Make a kit yourself or buy one that's ready made. Your kid will need it one day and it'll make you feel better that you've prepared one for them! Rolling Hamper with Storage! 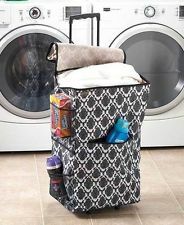 This handy dandy hamper will make doing laundry super easy. Just wheel it down to the laundry room! 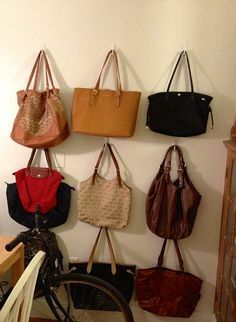 The horizontal structure also makes the most of space in the closet. Pockets keep the detergent stored too! 3 in 1 Laundry Sheets! My daughters love these! Instead of having separate detergent, softener and static cling sheets, this was all in one! Transfers with the load from the washer to the dryer! You may have to find these online. ORGANIZATION ESSENTIALS - These items make the most of wall and floor space in a compacted area such as a dorm room. 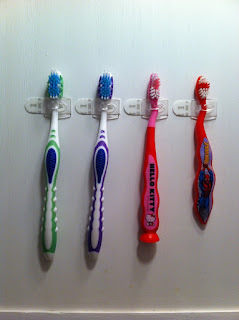 Command hooks of all shapes and sizes! 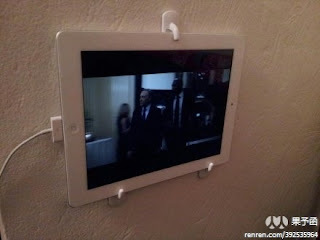 Because these are removable, they are great for just a one year use and will not leave holes or damage on the walls. Look at how many different ways they can be used! These are MUST HAVES! Cork board/Whiteboard combo. 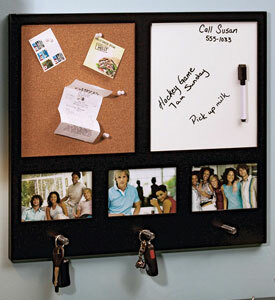 Visual reminders of important items, upcoming events, etc...can help keep your student organized! 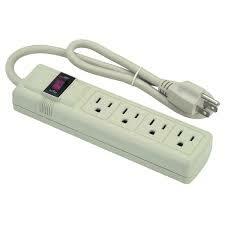 Power strip - We live in a electronic world where practically everything needs to be charged. 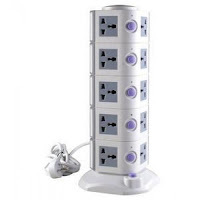 I have seen pictures of free-standing power strips but only on the web, see below. I would imagine these may have less cord chaos on the floor. 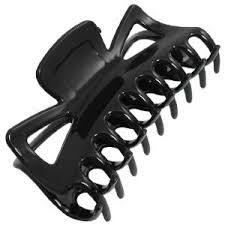 Hair claws! (Or large paper clips for boys.) 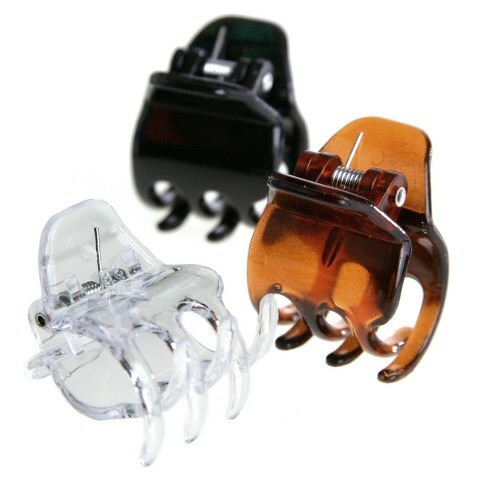 These can also be used in ingenious ways in addition to holding an updo! My daughter used them to keep the curtains together to block out sunlight in the morning! 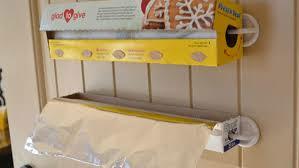 They can also keep snacks fresh, keep belts or cords together, use your imagination! 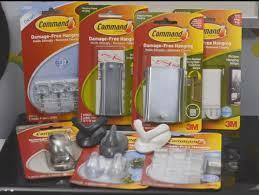 EMERGENCY ESSENTIALS - These are for peace of mind for both parent and student! Credit Card - I gave each of my daughters one to use for necessities so that they don't have to carry cash all the time and to have for emergencies. Can you tell we are a Disney family? 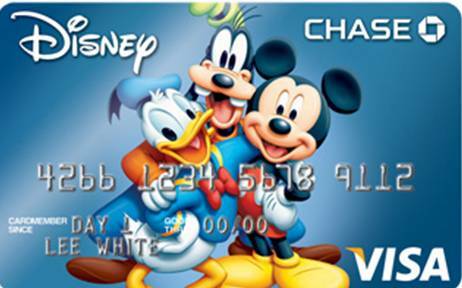 Chase Disney cards have really cute designs! We also rack up our Disney Dollars to use on a rainy day through purchases! Call Mom card. College is tough. When things get tough, all you want sometimes is your mom, right? 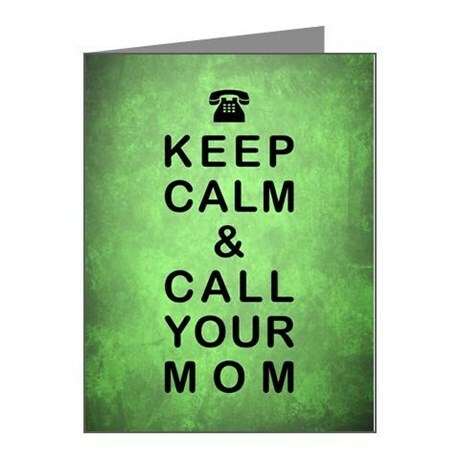 Reassure your child that they can call you, no matter what time, no matter the reason. A Love Note. We could be waiting forever to get that call, but we don't have to! Everyone loves getting a text, an email, an actual letter or card in the mail and a package of goodies! Send your kids a love note every once in awhile (even on a napkin!) to let them know they are important, valuable, and that you're proud of them! It is essential we give our kids all the love and support they need during this often challenging time in their lives! Well, that's all of my suggestions for College Dorm Essentials to make for a successful school year! I hope these helped! Please share with friends you may know who are sending their kids back to school! I would love any comments and/or ideas to add! 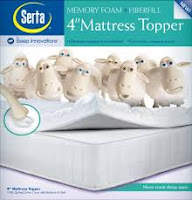 By the way, if you want to see more reviews, you can check here at memory foam mattress topper blogs.